I was making the rounds at a local author meet-and-greet at the library. I was gathering business cards, bookmarkers, and other marketing material as I went from table to table where each author was displaying their work. Hands full, I grabbed a few more bookmarkers from one of the last tables where the author was already busy talking to someone else and headed out. It wasn’t until I got home that I realized that this local author was a Christian and fellow homeschool mom, which I found intriguing. I took a chance and shot her an email asking if she’d be willing to get together for coffee. I knew it was a long shot; she is a busy author with deadlines. But Dani Pettrey graciously agreed to get together to discuss writing, books, publishing, and homeschooling. As a writer and homeschooling mother myself, I had lots of questions about how she balanced her love of writing with the rest of busy-mom-life. 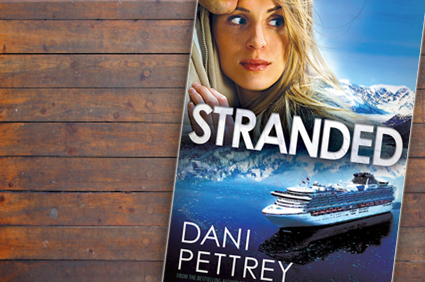 Dani Pettrey is the author of the Alaskan Courage series for Bethany House. Submerged, Shattered, and the newly released Stranded follows various members of the McKenna siblings as they solve mysteries, struggle with faith, encounter romance, and chase adventure. Dani agreed to give Ungrindreaders a peek into her life as an author and share where her inspiration for writing comes from.